It's electric, boogie woogie woogie! The news coming out of the North American International Auto Show is good, if you’re a Ford fanatic. 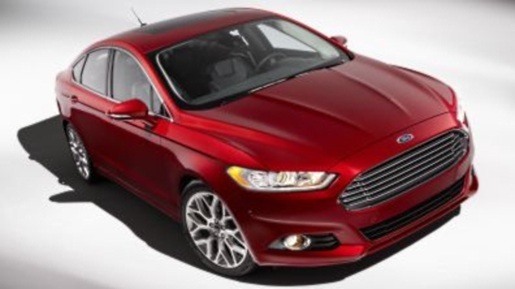 Nissan has their plug-in Leaf, Chevy has its plug-in Volt, Toyota has its Prius, and now Ford has the 2013 Fusion. Ford has announced a 100 miles-per-gallon plug-in hybrid version of the Fusion coming in 2013. Also, Ford is improving the Fusion’s gas mileage across the board, thanks to new engine technology and an updated body style featuring smoother lines. Among the engine lines are a 37 miles-per-gallon 1.6 liter engine, a 44 miles-per-hour hybrid gas/electric model, and the plug-in. Battery size, battery life, and car range haven’t been announced for the plug-in version, but it’s a pretty exciting concept. I still am not crazy about not having a car with some kind of gas back-up generator on board, but if you can get 200 miles or so out of a full charge, then I’m on board. Granted, I’m sure I’d miss the power found in a V6, but the horsepower still seems to be there, so maybe it’s not too bad. More importantly than changing the engines, the Fusion will cram a whole lot of features not normally seen in smaller cars. The 2013 Fusion will be getting all-wheel drive (on certain engine models), a lane-keeping assist system, adaptive cruise control, blind-spot monitor, and Ford’s parking assist system (as seen on commercials).